One of the major joys of life is eating. Ok maybe it's just me and not everybody. But hey, I enjoy good food. And when I do, I'm really vocal about it. 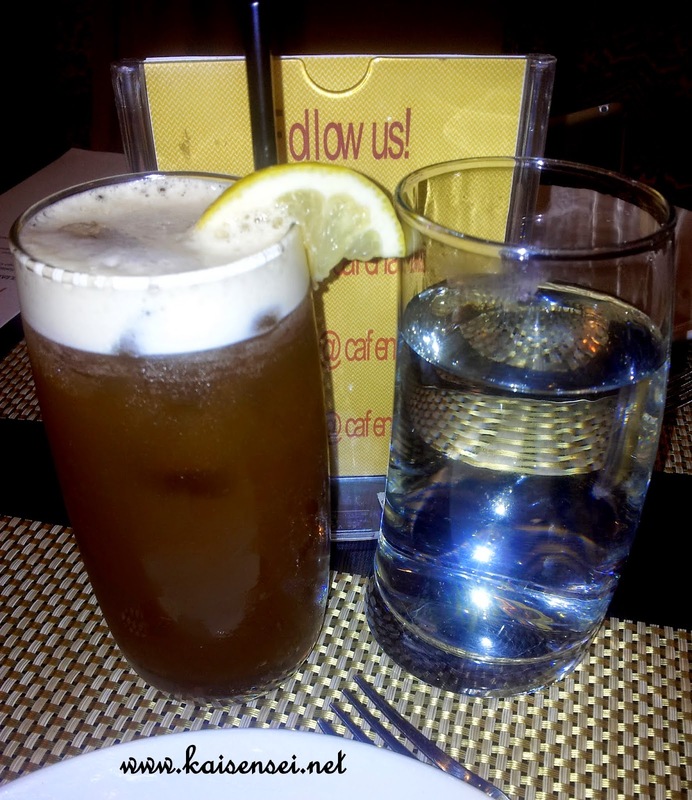 Well me and my tummy did had a moment of bliss when I was given a chance to eat at Cafe Naci! I've never been there before so I jumped at the chance to try it out. And let me just say that I loved it! 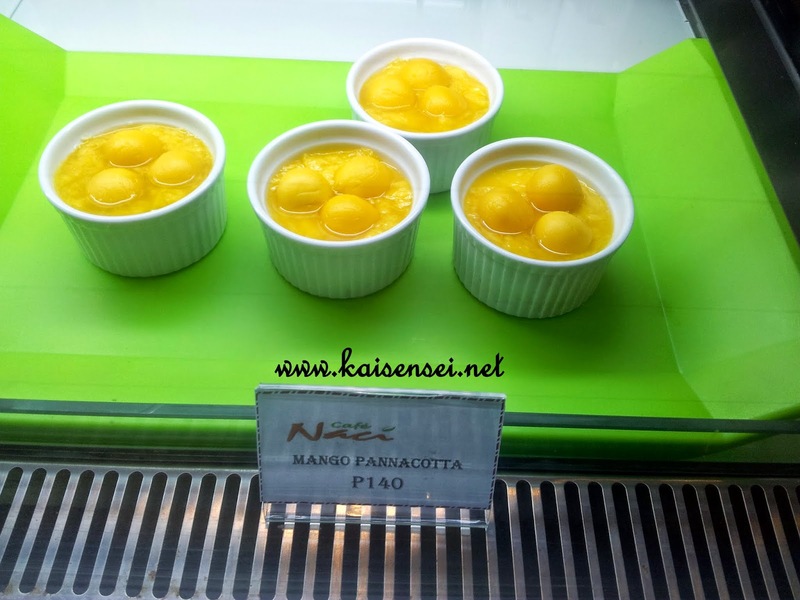 Cafe Naci is located at the 2nd floor, Fox Square Building, 53 Connecticut Street, Greenhills, San Juan City. Now I used to be a QC girl but never got to explore that area. Suffice to say that its quite near the Promenade. Walking distance (10-15 min). So if you don't see it right away, they got plenty of signage outside so keep your eyes open. Anyway, like I said earlier, I'm a big fan of comfort food. And so I was quite eager to taste the fare. 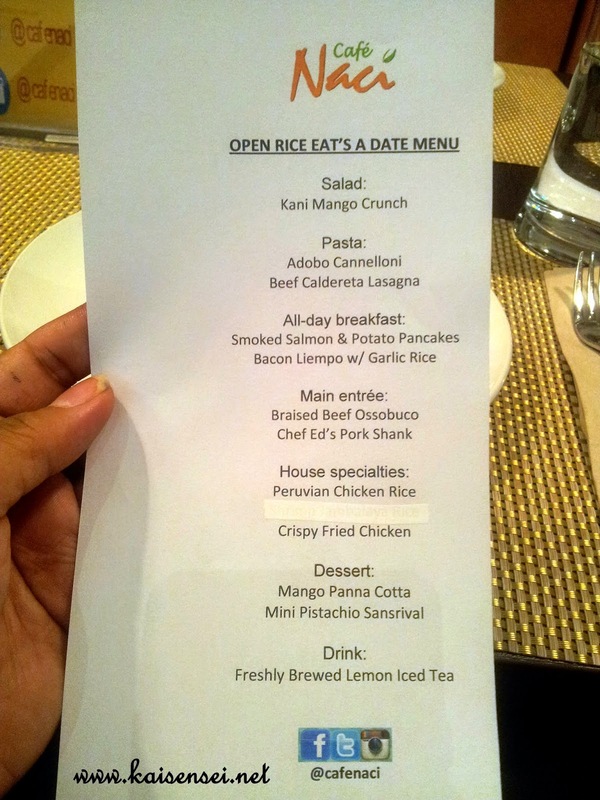 Thanks to OpenRice Eats A Date, we were able to try out this menu. 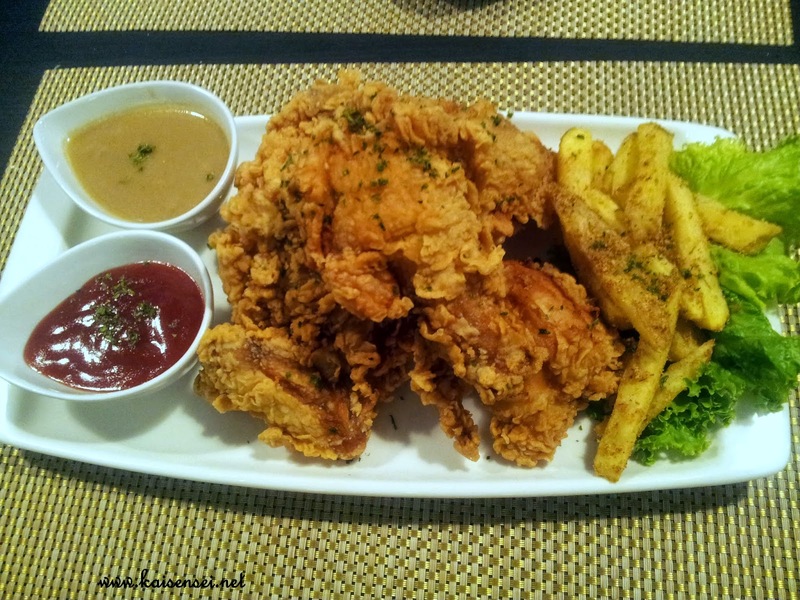 Comfort Naci's Crispy Fried Chicken settles down warmly in your tummy! I love salad and this winning piece blew me away! I loved how the whole taste and texture of this salad was put together. 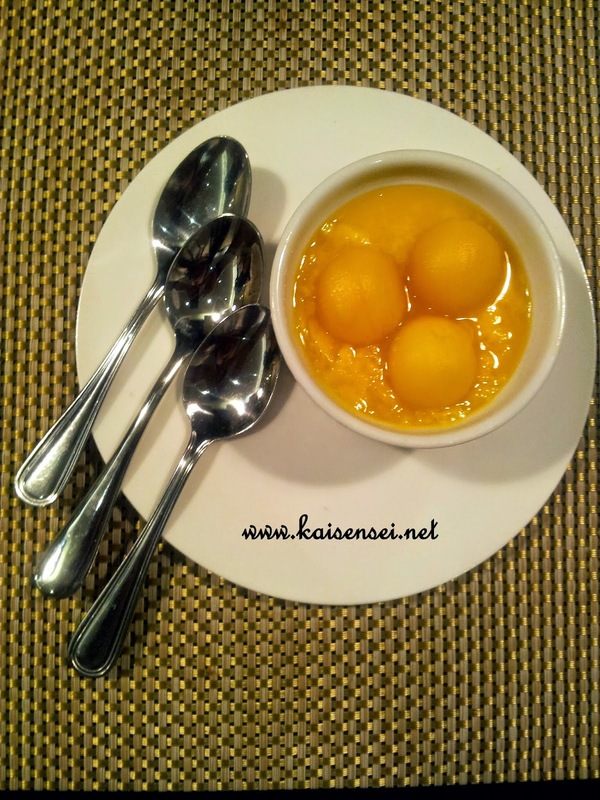 The sweetness of the mango, the delightful crunch of the noodles, and the slight wasabi hint in the sauce made quite an impact on me and whetted my appetite. I'm normally not a fan of spicy food -- meaning the wasabi but this time, the wasabi was mixed in just right and gave a pleasant overall "asian" effect to the salad that made it enjoyable to eat. 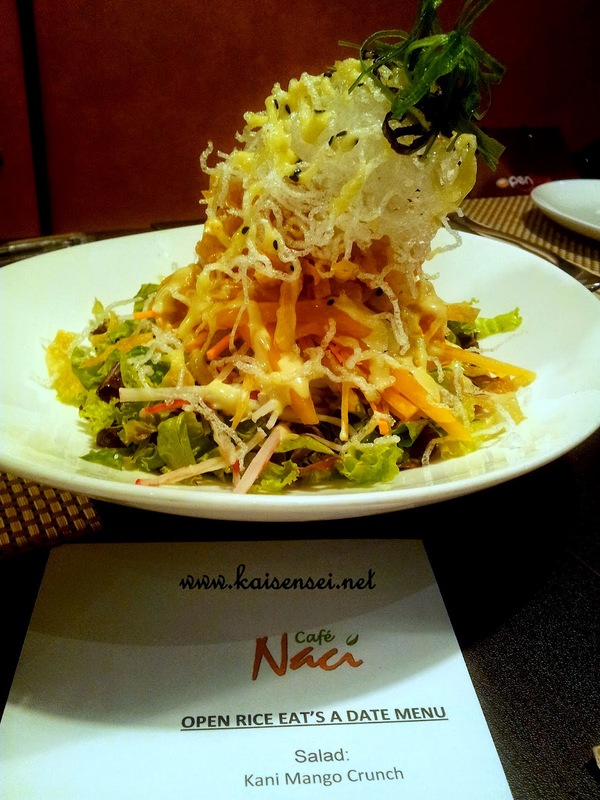 If you wanna try out Cafe Naci's salads -- you should really try this out! Ahhhh BREAKFAST. It's one of my favorite meals of the day. Given the chance, I'm all for going all out on a breakfast meal. I have this pet peeve thing about breakfast foods.. that in the morning, the breakfast that I eat should be "breakfast food" only. 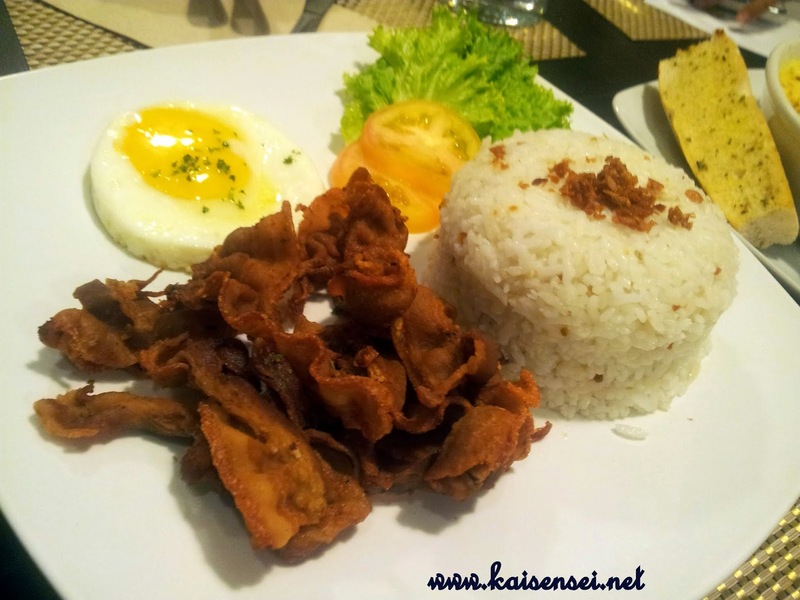 Like the usual Pinoy breakfast fare (hello tapsi~ish food!) and EGG. So when this was offered to us, I was intrigued.. 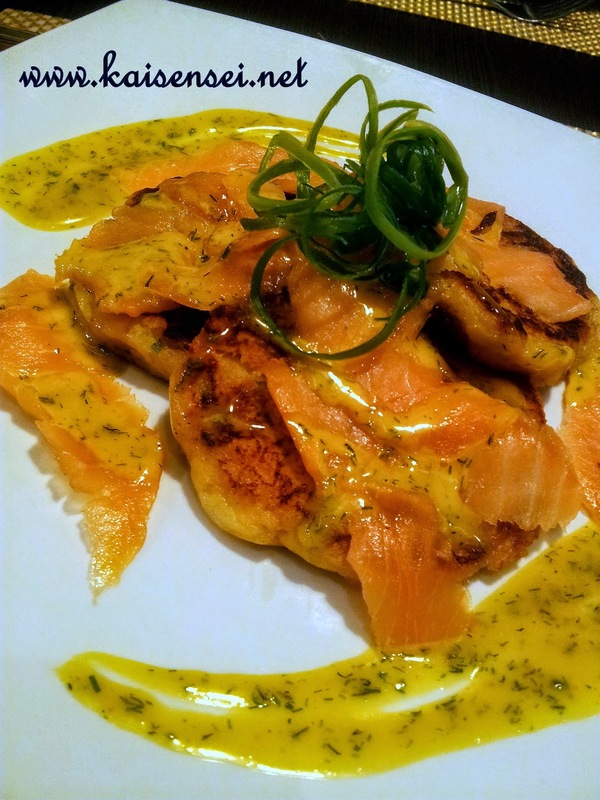 I took one spoonful of the potato pancake with some smoked salmon to top it off.. AND WAS HOOKED. I love love love it. While eating it, I kept making comments.. "Grabe ang sarap.. ang sarap... masarap sya promise.." and when you hear me saying those comments while eating.. then you better believe that the food I'm eating is definitely delicious! (So alam na.. if I eat and keep quiet.. more likely or not, I'm just eating for eating's sake and well.. not that happy with the food that I'm eating. haha may ganun). I'm a fan of salmon, and getting a taste of that smoked salmon was a treat in itself. I REALLY loved the potato pancakes! It was nice and crispy on the outside but "fluffy flaky" in the inside. Yep, it was definitely my kind of dish. If you are a fan of breakfast food, you gotta try that one out! One word. BACON. Yummy, crispy, crunchy,and not that greasy bacon! Need I say more? BAAAAACOOOOOON. You gotta love it! Ok, I want you to take a good look at that cake. It's small. Yes. But still, take a look. See all that PISTACHIO. Can you see it? It's literally and liberally studded with Pistachio Nuts that I absolutely love! That's the winner part of the dessert, how generous they were in putting all those pistachio nutty delights. 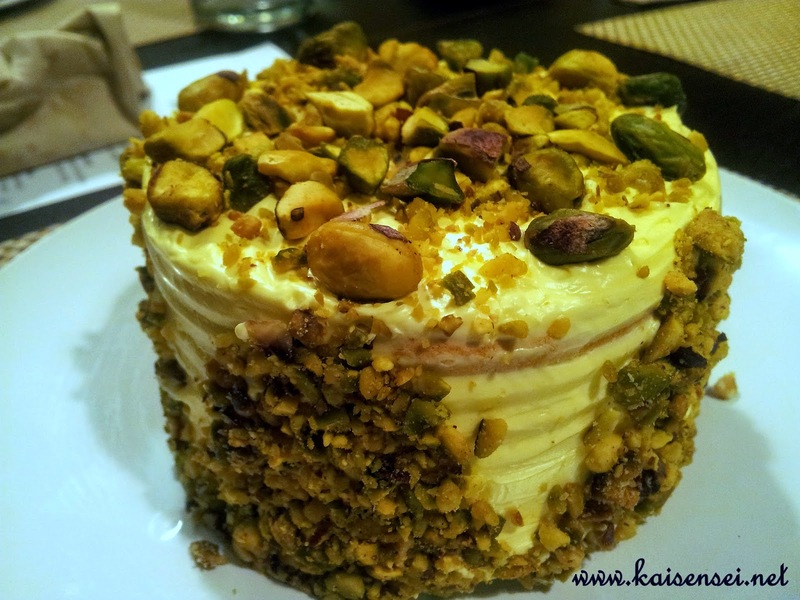 If you love Sansrival and Pistachios.. this is it! The only thing is, if you wanna take home some of this loveliness, you gotta make sure you are on your way home in an hour or two or the cake might kinda be melted. Cafe Naci is now open daily: Sunday to Thursday at 7 A.M. to 12 Midnight while on Friday - Saturdays at 7 A.M. to 1 A.M. For reservations & functions, you may call 726-7266 / 0917-8077886. 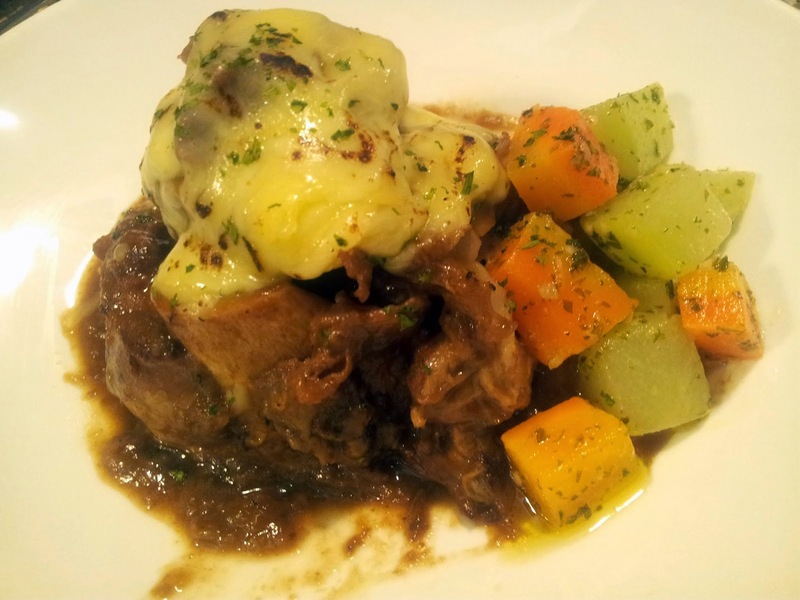 The bacon liempo and osso bucco looks delish. 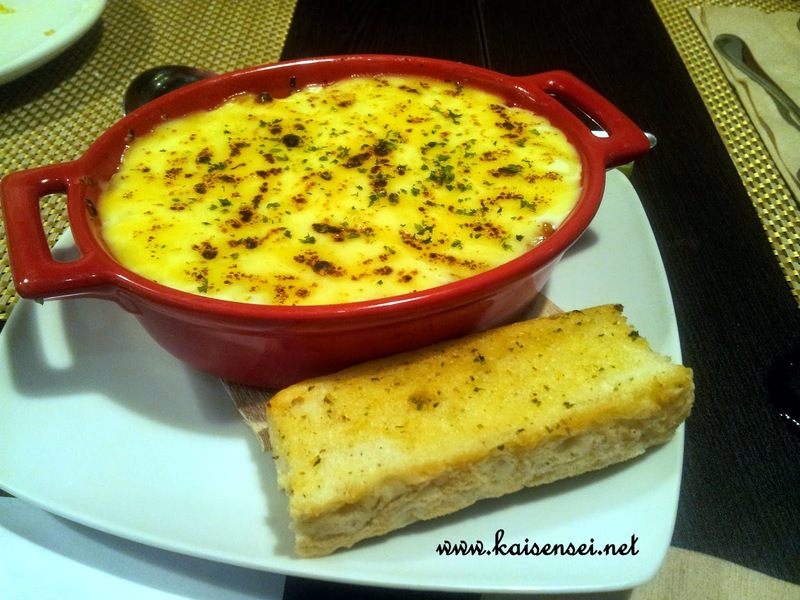 Will certainly try these dishes when I visit that Greenhills area. 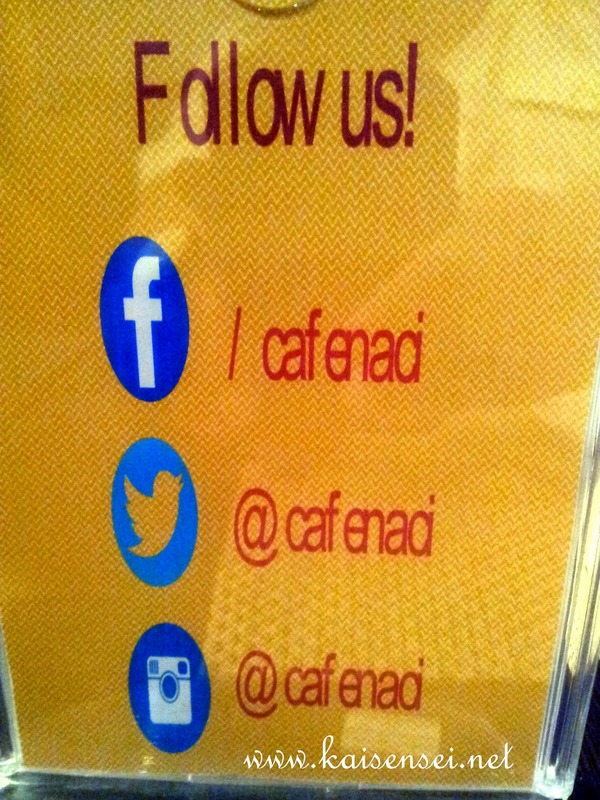 I haven't been to Cafe Naci but will be trying out soon. Wow! Everything looks so delicious! 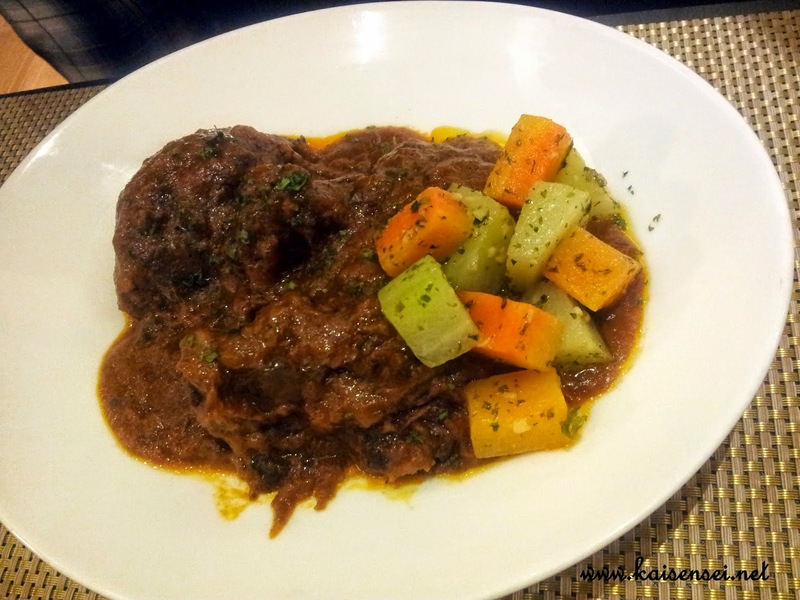 I would try the Braised Beef once I get to visit the place. The prices are on the expensive side for me, especially since some of the food served looks common. But that cake looks good! Although for that price, we will share. Haha! 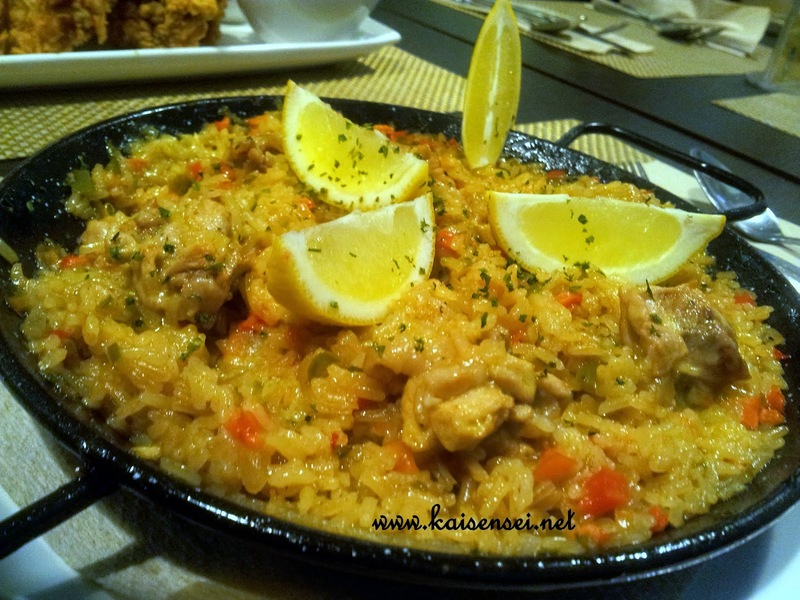 I've tried Naci at BGC and I like their food. 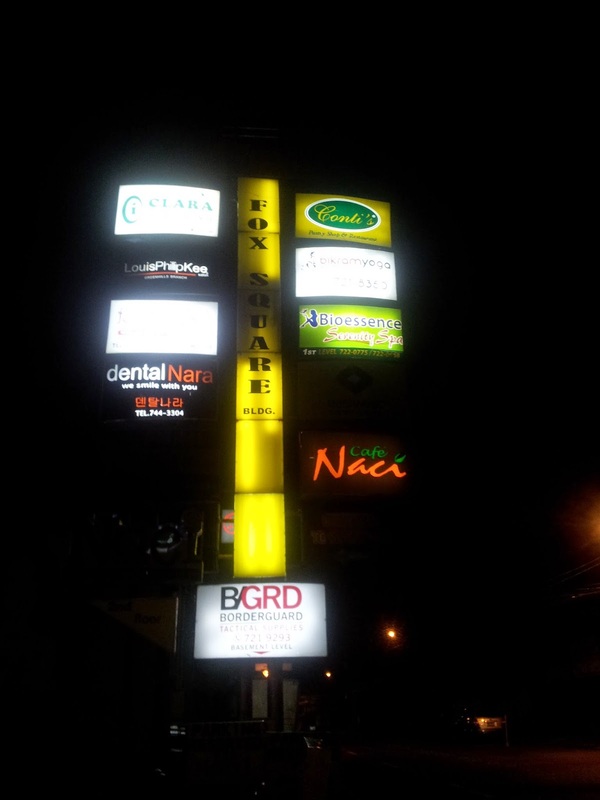 I'm just not sure if the BGC branch is still open now. Those dishes are looking really awesome but seems little expensive actually.